David is an only child of his father who was an alcoholic. David has grown living with his aging grandfather who is sickly and not in a position to support David through high school. He survived primary school through the good will of the school principal who could see his academic potential. 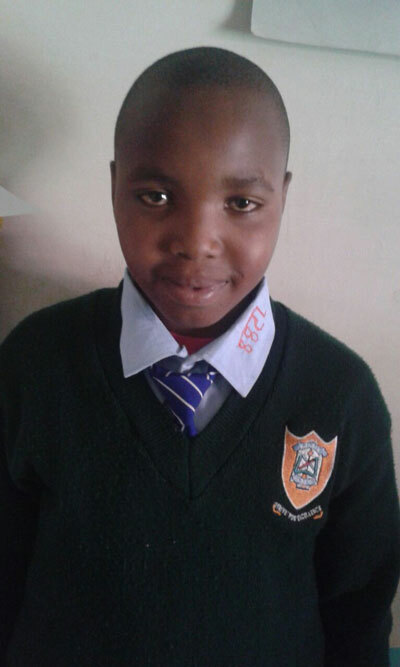 David will need to have a sponsor to help pay for his school fees. He will need to work harder than most students as he adjusts to the new environment and routine that is very different than that of the village life. One of the main things he will need to focus on is building his confidence as he adjusts to being in a boarding school. David is a bright student who did his Secondary entry examination and passed very well and he needs support to stay in school. If supported, David would attain his wish of bringing his extended family out of poverty, he believes he is the one to work hard for the bright future of his other siblings who have been left along with him to their grandparents home. If supported David will be a good role model to other students in need. Sponsorship for David to attend high school is $75/month.